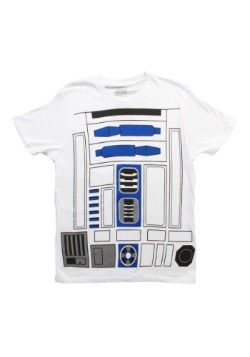 R2D2 is the man! 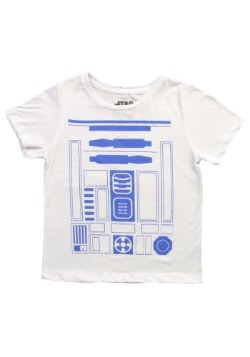 Okay, we know he's just a droid but for an artificial being he sure packs a lot of personality in his mechanical body. 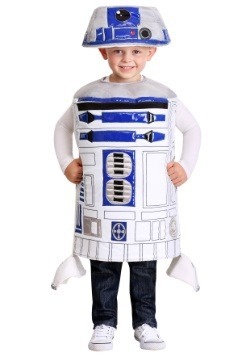 That'd be thanks to his valiant actor, Kenny Baker, who operated the droid suit in Star Wars. 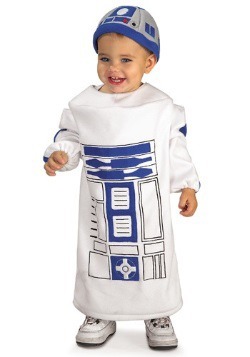 While casting A New Hope in 1977 George Lucas knew he was going to need an adult to operate the suit as the requirements would be to much for a child. 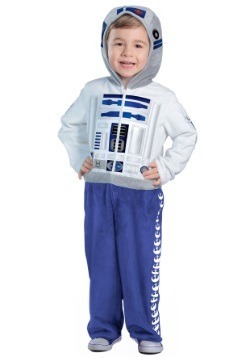 Upon meeting the 3'5” Baker, he was immediately cast. 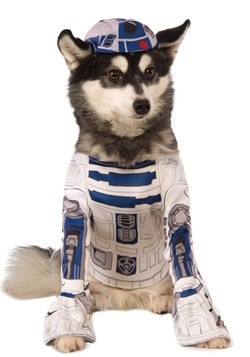 And while a great deal of scenes utilized a remote control R2D2, the scenes featuring Baker masterfully operating the body allowed him to infuse the lovable personality that endeared Artoo to hearts of Star Wars fans. 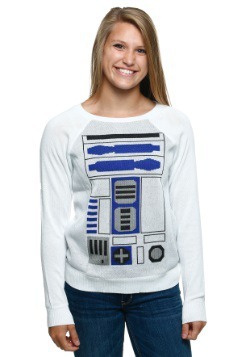 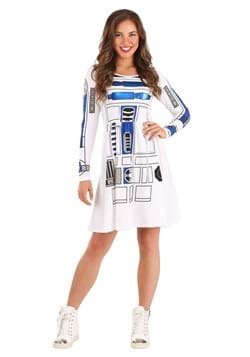 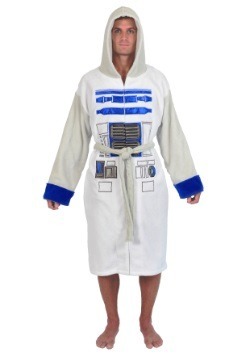 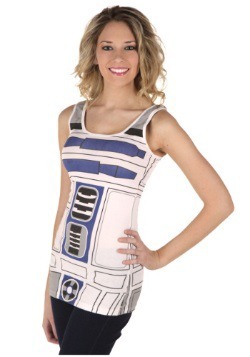 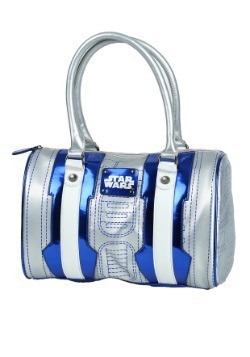 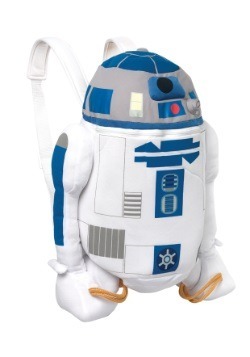 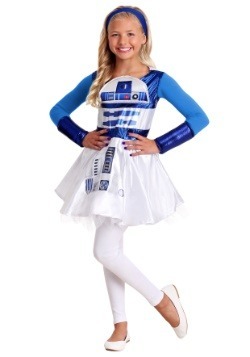 We've assembled some of the funnest R2D2 costumes and accessories that are available! 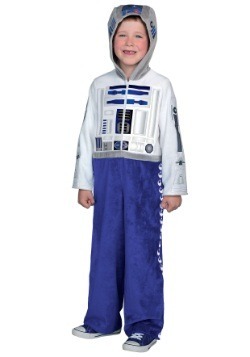 If your family is planning a group star wars ensemble, our child costume will be perfect for your little one. 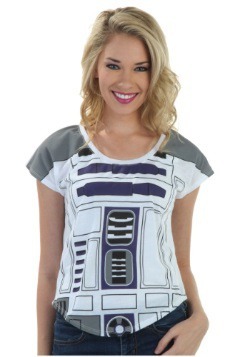 We've also got some great costume T-Shirts and Hoodies which make for a easy costume or everyday apparel. 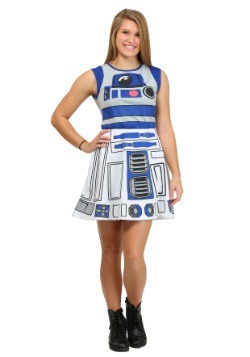 If you're ready to channel your inner geek, find yourself a C3P0 or strike out solo for a great time as everyone's favorite droid!